Even penguins love racing! 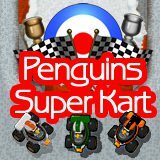 Pretend to be a penguin and take part in this exciting race! Use arrow keys to move and leave all your rivals behind!